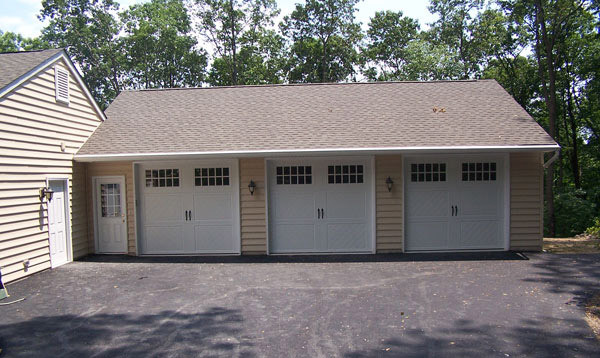 A garage addition is a fantastic way to increase the value of your home as well as additional storage space for outdoor power tools and recreational equipment, protect from vandalism, working on a car, or just protect your vehicle from the elements. Some of our clients choose to add additional living space when doing a garage addition either for a mother in law suit, a young adult, or sometimes they choose to add on a rental space. Not only can this help to reduce the cost of traveling family members, but it can also reduce stress for that teenager not yet ready for home ownership, give flexible space in the event an aging parent needs more frequent care, or income from a renter. Whether you choose to add on garage bays or a garage with living space, you’ll be happy with the result, and feeling of calm from having your vehicles protected.